Facebook announced recently that it’s searching for experts in both ASIC and FPGA custom silicon designs. According to Bloomberg, some close sources pointed to the new job listing revealing that the company is looking for a manager to help in developing and managing the team of end-to-end SoC/ASIC and other chip architectures. The company manages huge data centers across the world and owning its own chip designs could save the firm huge revenues spent on acquiring and upgrading these systems. Giant tech firms including Alphabet and Microsoft have significantly gained from owning chip customization especially for artificial intelligence (AI) and machine learning. For instance, Google owns a TPU that supports if operations. Amazon is also currently developing its own chips for training and inference services. Recently, Apple was reportedly creating its own silicon that could easily outdo Intel in its strong line of computers. Furthermore, Microsoft is embracing the use of FPGA to deter machine learning challenges. With the huge amounts of data on the giant social media platform, Facebook is considering owning its own chip designs that are customized than relying on the off-the-shelf elements that are manufactured by Nvidia and other firms. Nvidia has dominated the world of AI due to its advanced GPU technology that optimizes popular AI components such as TensorFlow. Other firms that offer customized AI hardware include Cerebras Systems, Mythic, Graphcore, and SambaNova Systems. Meanwhile, Facebook is relocating over 1.5 billion users out of the European privacy law. The company made the decision to shift all its international users who are outside the US, Canada and EU from its headquarters in Ireland to its branch in California. This means that the users will now be under the US governance and not the Irish law. 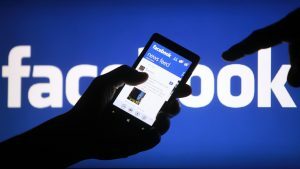 Facebook’s decision to move its users comes into effect before the anticipated General Data Protection Regulation (GDPR) in Europe that would be endorsed on May 25, 2018. GDPR could fine Facebook more than 4% for its global turnover in case it breaks the new data protection laws. In the previous US Congress, Mark Zuckerberg, Founder and CEO of Facebook was asked whether the GDPR protection will apply to all its users, which he replied that the same privacy protections would apply to all the users regardless of the location.